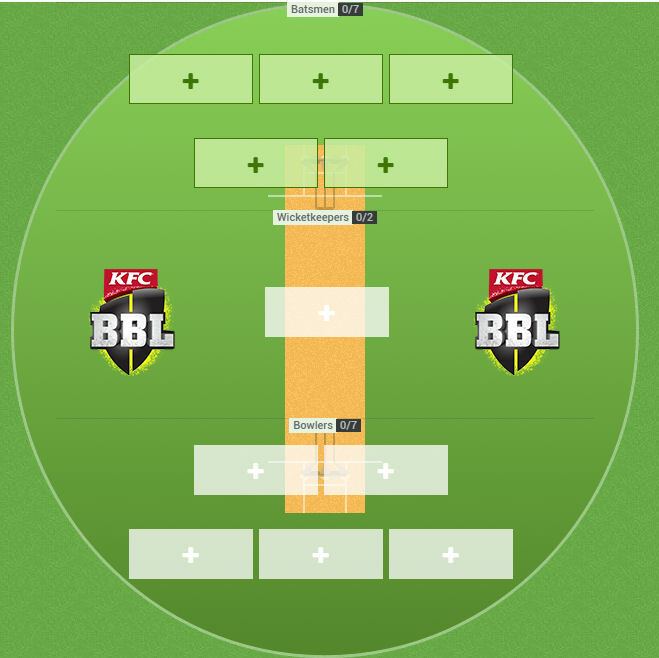 Nic has some tips to help you get your head around BBL Fantasy. With a little under a month to go until the tournament begins, BBL Fantasy is open and that means it’s time to pick your team. This article will be for those who are familiar with fantasy games, but haven’t given the BBL version a go. BBL Fantasy is very different from other versions, particularly in its scoring, so this article will also be a handy refresher for those who’ve played before. Your team is broken up into five batsmen, five bowlers and a wicketkeeper. You are also given two bench players for the batsman/bowler positions and one for your keeper. Dual positioning exists in BBL Fantasy with players eligible to be batsmen and bowlers… unfortunately there are no wicketkeeper/bowlers. All players get one point for every run they score and 20 points for every wicket they take… okay maybe it’s not tricky yet. Keepers get 15 points for a stumping and all players get 12 points for a catch. This means bowlers can score points for batting and vice versa. Run-outs also garner the most influential player to the run-out 15 points. A new rule for the 2016/17 season is that bowlers will receive one point for every dot ball they bowl. Take two… this is where it gets tricky. Note: Strike rate bonuses are only added if a batsman has scored 20 runs or more. You’ll quickly get the hang of this system and Channel Ten are usually pretty good with showing strike and economy rates so you’ll be able to calculate your score. Moneyball will be hosting BBL daily fantasy contests. Click here to sign up. Yes ladies and gentlemen, a competition with eight teams features byes. These work like any other bye rounds, just get the players off your field because they will not score. Double rounds are where it gets interesting. For example, the Sydney Thunder play twice in round one and that means their scores from both games combine, giving them a massive advantage for that week. To summarize, make sure you have a good spread of players so you don’t end up devastated during bye rounds and take full advantage of sides playing twice. This will be a pretty broad section, but the essence of it is always being careful picking international players. Scheduling could mean they only play half of the season. Pay attention to squads and make sure you know when you’re players are leaving because oftentimes you won’t see final XI’s for a game until it’s too late. Avoid any players in the test squad. They will not play. It’s as simple as that. One final tip is to pick players on form and not necessarily because of their price. You’ll see some very strange pricing in this competition and always do some research to see how that player is performing before finalising your team. Pick batsmen who bat higher up the order as they’re more likely to score consistently. Players who bat at five or six mightn’t even get a bat some games. This is especially important when deciding your wicketkeepers. Bowlers that can pinch hit as batsmen like Ben Cutting and Nathan Coulter-Nile usually score better and in general you should fill your team with as many dual position all-rounders as is reasonable. Use your bench strategically. Pick one cheap batsman and bowler you think can be a cash cow and pick another player who should play every game for cover because late omissions are released far later in the BBL and you sometimes won’t catch them in time. Watch the weather channel like a pensioner whose Foxtel remote is broken. You don’t want players on your field with a match being rained out, you will get zeroes galore. There’s not actually much you can do in these situations, but it’s better to know than not. If you follow these principles you should do well in BBL Fantasy this year… assuming you pick a good team… but of course you will! So, you think getting players in form is wiser than buying cheapies that had a bad year last year due to injuries and the likes? So… Players like Lynn and Finch is better than Sangakkara and Pollard? I think Nic’s talking more about recent form… ie players who have played well in recent ODI’s or Shields matches, etc. Picking players who are priced way below their actual level is a great tactic – the potential value in Sangakkara at around $30k is tremendous. He’s proven world class, nailed-on to bat in the top 4 and favourite with the bookmakers to top score in this competition for Hobart – couldn’t put you off him at all. I can’t make my mind up about Pollard… if he was going to bat in the Top 4 I would be all over him… but I feel he’s likely to bat 5 or 6, so it’s questionable whether he’ll always get a decent bat. Then there’s his bowling… how many overs will he get each game? I feel like Pollard falls between two camps – someone who could get a decent bat in a match with early wickets and could also chip in with a wicket here and there from a couple of overs, but also may only get to see a few balls, thus preventing him from posting a 20+ score and then only get two overs to ball, with very little return. Pollard is a similar price to Maxi Klinger for example… Klinger is one of the favourites to top score with the bat in this competition – is Pollard a better pick than him? I don’t know at this stage… I would like to see where he comes in and how many overs he bowls in the first couple of games first. Definitely avoid Finch first off… he has a blank in Round 1 and I’m not starting with Lynn from the off, due to the Heat only having one game. What’s the rest of your team look like? Nice 1 Raurie… we have a full league now… just all have to score well and win that $6k top league prize now! where can you get the teams when named? I find the official teams Twitter handle the best source. I’m not sure about TV coverage in Australia, but I live in England and Twitter is much earlier than the BT Sport TV coverage. Moises Henriques: When you average a tick under 25 with the bat and under 30 with the ball in Twenty20’s you are going quite well, and that is exactly what Henriques is doing at the minute. Sure, coming off another calf injury isn’t the ideal run in but after getting a practice game or two under his belt coming into BBL06 Henriques is poised to strike, expected to come in at his preferred position of 4 Moises will be looking to add to his forever consistent record. do price change each week? yes, depending on how well they play…if the players goes up (price wise) your team value does as well.